It’s doppled and a bit spappled…. Sorry! I didn’t realise English wasn’t your first language. I guess mottled to me is like sunlight on a forest floor – many shades, many sizes in a dappled way. Also Kate are Clear Sky’s kits, long furred or short furred? Each one? If so, I wonder where Flower Foot, Dew Petal and Tiny Brandh inherited it from. Hey Kate! I’m hyped for Moth Flight’s Vision and A Vision of Shadows, but I was wondering about Super Edition 9. I think the only time it’s ever been mentioned was when you said that Cherith was writing it. How little it’s been mentioned is weird, because usually we know about Super Editions two years in advance. Can you tell us who Super Edition 9 will be about, or has it not been decided yet? Also, is it coming out in 2016, or not until later? I don’t know anything about it. I guessed there would be one. But the current editorial team don’t talk to me about stuff I’m not involved in. So Cherith might/might not be working on a SE9. If so tell her to make it on… Graystripe! I know, Gray Wing’s death is one of the saddest. Ever. Kate do you think that Quiet Rain has descendants still alive in the Clan today? I do! 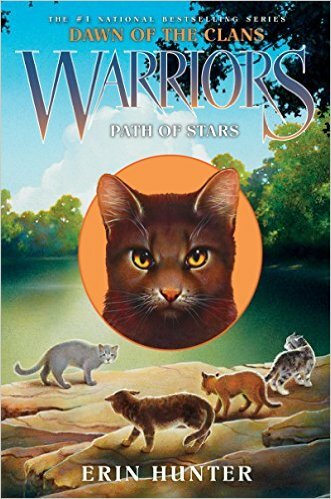 I mean, she has kin in ThunderClan, ShadowClan, WindClan and SkyClan. One of them must have someone distantly related to her. After all, Wind has descendants alive in the Clans (Crowfeather, Breezepelt, Jayfeather, Lionblaze). So why can’t Quiet Rain? She MUST have! I wonder who they are? Hello Kate, I have two questions. 1) What happened to Frog and Willow’s mother Tansy? 2) Will we ever find out what happens to Lightningtail?